This entry was posted by Sanjaya on November 4, 2010 at 10:02 pm, and is filed under තාක්ෂණික, සිංහල. Follow any responses to this post through RSS 2.0.You can leave a response or trackback from your own site. 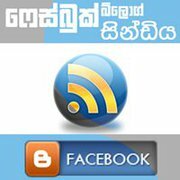 ඊගාවට ලියන්න ඕනි මොනාද කියලා කියන්න..
WordPress wala sinhala blog ekakata mehema convert karaganna ewwa nadda??? දිගටම ලියන්න මළයෝ. මුල ඉදන්ම කියන්න. මම ‍ඒතරම් දෙයක් දන්නෑ. ගොඩක් වැදගත් ලිපියක්….මටත් බොහොම ප්‍රයෝජනවත් උණා…. thank u bro. ස්තුතියි ප්‍රතිචාර වලට. දිගටම ලියන්නම්. අනිවාර්යයෙන් නුදුරු අනාගතේදී මුල සිටම ලියන්නම්. Adoo thanx alott this helped me lot!!!!! පුළුවන් නම් මේ සයිට් එකේ ටෙම්ප්ලේට් මාරු කරන විදිය ගැනයි කියලා දෙන්න. තව සිංහල වෙනුවට සිංහ කොඩිය දාන විදියි තව ටිකක් විස්තර කරන්න components/com_joomfish/images/flags/ යන Folder එක හොයා ගන්න දන්නේ නැ ඒක හොයන විදයි කියලා දුන්නොත් හරි. thanks machooo sadun told me to take a look and its great….!!!!!!!!!!!! Deyyek newei, dewalayak… thanks. very useful malli. add those valuable stuffs again and again. good work. thumbs up. niyamai.Sanjaya.mama meka site ekakta demma.wede hari.sinhala module eka hadapu Rashan Anushka thanks karanna ona. tnx aiya, joom fish joomla 1.5 wala support na taama, Falang extenstion eka joomfish ekata hoda alternative ekak. ජූම්ලා 3.0 වල වෙබ් අඩවිය ත්‍රෛභාෂාවෙන්ම හදන්නෙ කොහොමද…?? ජූම්ලා 3.0 වල වෙබ් අඩවිය ත්‍රෛභාෂාවෙන්ම හදන්නෙ කොහොමද – ඉකමනින් පිළිතුරක දෙනවා ද ?????????????????? Google Site link dana widiha gana post ekek danna.. Excellent piece of work. Thank you very much.